The dermatology professionals at the Center for Dermatology, Laser and Cosmetic Surgery are happy to welcome you to our practice! We are proud to provide the highest quality of skin care and cosmetic procedures to residents of Wayne, PA.
Dr.Harold Farber MD is a compassionate and highly skilled dermatologist, renowned in his profession and often sought out for his expertise in treatment of the most difficult cases. He has vast experience as a clinician who listens to his patients. Dr. Harold Farber lectures across the country and is a highly sought after speaker who is the ultimate authority on an array of topics. Dr. Farber has served Wayne patients for more than two decades. “I had a good experience here. 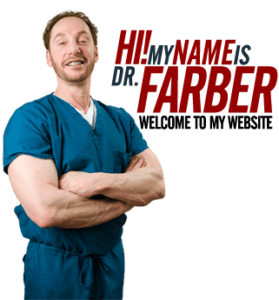 My brother and I both go to Dr. Farber and I always feel he is knowledgeable and personable. He tries to take his time and is accommodates a lot of different patients. So speaking as a pharmacist, I get why the wait times might not be ideal for everyone. At the end of the day, I personally find it more difficult to find the right doctor and I couldn’t be more satisfied here.” – Andrew T.